The food at Radish & Rye is distinctly Southern — not in a “deep-fried heart attack” way but in a “fresh from grandma’s farm” way. Fried green tomatoes, grilled cauliflower, lovage, rapini, etc., explode out of almost every dish. 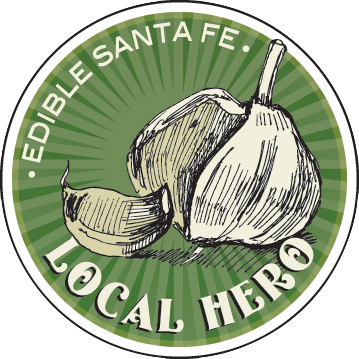 The emphasis is on farm-fresh produce (90 percent of which is from the Santa Fe Farmers Market) and a refreshingly eclectic selection of meats, many of which are smoked outside on the porch. The menu is definitely geared toward the old-fashioned carnivore, featuring grilled pork chops served with smoked pork belly, polenta and earthy morel mushrooms, back ribs with Carolina glaze, duck rillettes (a kind of paté), a seared lamb rib served with flageolet beans and roasted root vegetables, and a rabbit ragu with spaetzle and, poetically enough, baby carrots.